Gaspard de la Nuit is Ravel's terrifying piano masterpiece, known as much for its devilish difficulty as its unearthly music, especially Scarbo. Ravel set out to engineer a superhumanly hard piece to play, filling it with imaginative and eerie musical images. Personally I love it. It's nightmarish, mysterious and unimaginably complex. The original title is "Gaspard de la Nuit: Three piano poems after Aloysius Bertrand". This Bertrand was a writer of bleak and frightening poems, three of which Ravel hand-picked and recreated in music. Ravel read the poems in 1908, and completed his new piano piece that same year. 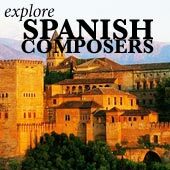 It premiered in January 1909 with Ravel's friend Ricardo Vines performing. I bet it scared the audience half to death! Gaspard de la Nuit has a classical structure surprisingly similar to old-style sonatas: three massive movements, fast-slow-fast. Ravel even follows the traditional rules inside the pieces. It's been called the greatest French piano sonata. But that's about as traditional as it gets. The piece features extremely modern-sounding music, with bizarre rhythms and finger-knottingly complex movements. Ravel used pretty much every piano trick in the book. He even invented new effects, using extremely precise nuances in the piano, to evoke the unnerving images of the poems. Ravel wasn't actually a super-virtuoso player himself, but he made the piece so absurdly challenging that it scares pianists. Some even call it one of the most difficult pieces of piano music there is! Apart from that, the piece has Ravel's trademark obsessive attention to the smallest details. He barely lets pianists interpret the piece themselves, instead strictly guiding them along the entire way. In the original poem, a water-princess sings to Gaspard, seducing him to marry and join her in a wonderful, strange world. Gaspard can't though: he's already married! The water-nymph cries and pouts before splashing off into the depths. Le Gibet (the gallows). The Bertrand poem describes a corpse, suspended from a gallows, slowly swinging in the red light from the setting sun. In the far distance, a lonely church-bell chimes in a desolate city. This lasts for the entire piece. Around it, Ravel builds spooky, yet strikingly rich harmonies. The mood is hopeless and unsettling. This is my favorite movement! Scarbo, a mischievous dwarf-demon who has a tiny gold bell on his pointed hat. This little guy is one of the many demons which live in the night's shadows (according to Bertrand's poem). He likes to scare people and generally create havoc. Ravel wanted to recreate an orchestra on the keyboad wth Scarbo, and it's full of jagged, violent sounds and colors. The piece is the most extraordinarily difficult of them all! 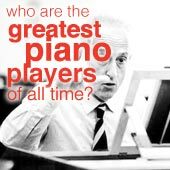 Lightning-fast, it pushes against the extreme ranges of the piano and the pianist's physical potential to depict the gleefully wicked demon. Only the most supremely skilled pianists dare record Gaspard de la Nuit. Jean-Yves Thibaudet is one of those. His is, in my opinion, a definitive recording. It's one of the precious few which captures all the different eerie, unearthly effects and nuances Ravel meticulously noted down. Available on Decca, it also comes with a good dose of other Ravel piano pieces, including Miroirs and Le tombeau de Couperin. Michelangeli has various recordings of Gaspard, but one of the best is from 1959 and available on BBC Legends. 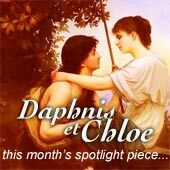 Also have a look at Daphnis et Chloe, Ravel's epic masterpiece ballet.